Both are stunning but I'd love the pink one! Congratulations on 2 years you LEGEND! wow I seriously didn't even know what blogging was then...or facebook for that matter. I want the blue one! so cute! Wow - 2 years! Happy Birthday! Wow, congrats on the blogaversary! If I was lucky enough to win I'd pick the pink/purple one because it's SO cool! Wow, 2 years! Good for you! I LOVE the purple one and I think my girlie would too. You make such fun things! I'm in robot love! Very inspiring. My son says the BLUE one, obviously I have no say in the matter LOL. I'm in LOVE with the blue robot!! It's absolutely gorgeous! Happy 2 year anniversary! You've inspired me to get back to blogging! congratulations on two years you talented woman! I think she would be a great friend for Pookie! Oh my goodness, those are SO adorable!!! Happy 2 years to you! I think I'd have to choose the boy robot :) Thanks for the great giveaway! 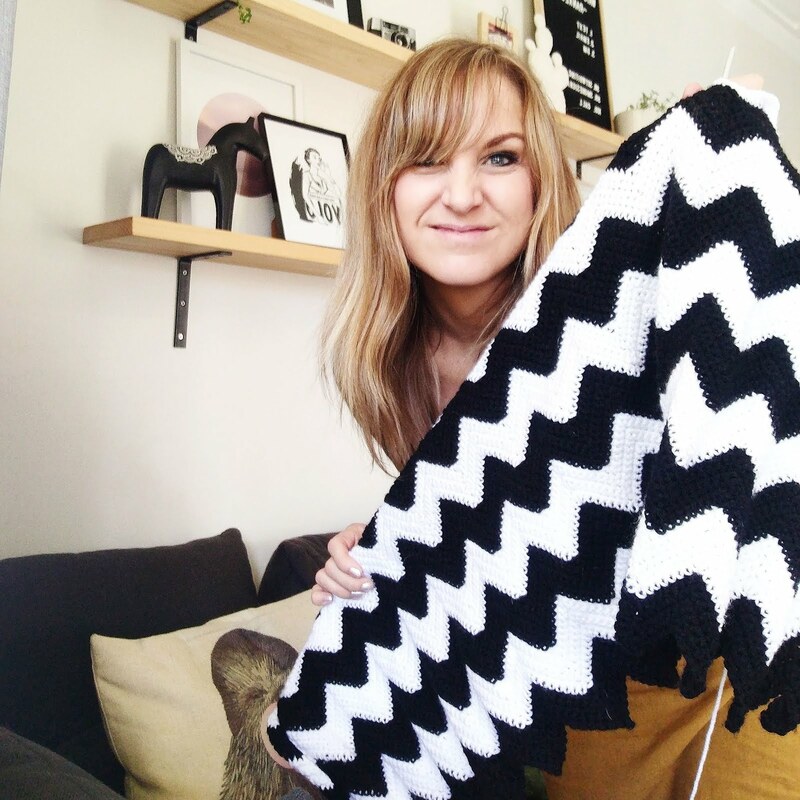 Congrats on your 2years in the blogging world and your softies are always amazing! Can't wait to see what you will come up with next! I like the Blue Robot. Would LOVE a blue robot! What cute little robots...how can I choose...I think the pink one is calling my name! Thank you and happy Blogaversary! purple is cool! yay congrats on the milestone! pink pls! happy bloggy birthday, its been great getting to know you! Wow 2 years of blogging... your amazing. Happy two years!!! Blogland is so much better with you in it. Love your posts. Purple for the Liddells please. Oh, and I like the pink/purple one!! Holy Robot! I LOVE your latest creations!! My daughter was just asking when I was getting her a pink robot! haha I think it's fate. How can I not enter!! Gerry needs a girlfiend :D Definately need the purple one!! The purple robot is very cool! Hope the last two years have been fun - here's to many more. Happy Birthday! Either would make my kids happy, but I personally like the pink one better. my boy would love the blue robot! Happy 2 years!!! It goes fast , doesn't it!? A purpley one for my almost three year old pulease. She is 3 in June and I am a hopeless sewer:) But love the softies. Put me down for the blue one. You blue little machine is such a cutie.. i would love him to pieces... otherwise I think I am certainly inspired to create some roboties of my own. Congratulations on your 2nd Anniversary with Mr Blog. Wow congratulations on 2 years Kristy! 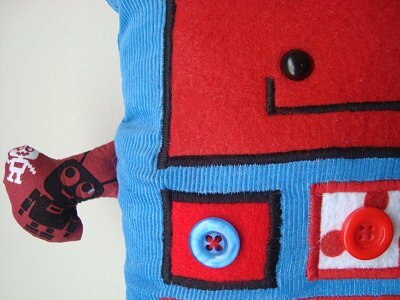 My nephews would absolutely adore one of your robot softies - I have my fingers crossed! 2 years, how time flys. And look at all your commenters now!!! Keke was just a little button back then. Love you blog, love your style, love you. I always do read your blog, but don't always leave a comment. I love this little robot, but don't count me in on the giveaway as I won your first year blogiversary giveaway - the lovely Mandy the Matryoshka. I love the blue one :) Very cute! Hope you continue to enjoy blogging, and heres to te next two years! Cheers. Hi, Congrats on the anniversary!! Happy blogging birthdY...I love your blog! Blue please! I like the pick and purple robot the best! So CUTE! OMG, I am totally in!!! This is just awesome, I have my fingers crossed! My son needs that! I mean really needs that! Woohoo! Happy Bloggy Birthday! My little guys would love the blue robot! yay, happy anniversary! what a fab giveaway! Both are completely cute, but as I have 2 small pink children I think it will have to be the girlbot please! How fitting - I've just made my first visit to you blog on your 2nd anniversay. I love it and will certainly be back (I'm going to have a go at the ANZAC biscuits - have never had and they look yummy!). Completely love the robots - would have to go for the blue and red so the kids could fight it out for him! Off to look at your shop now. I want it! I want it! I want it!! I love your little robots!! Especially that blue one! My boys would flip! I know I'm too late to win but congrats on your blog-a-versary! And your robots are supercute! i've been thinking about starting a blog myself. your 2-year mark is inspiring!! i love the robots!!! i want them both!! I would love a chance to win the blue one! Congrats! I've yet to find the time to blog properly! Congratulations on two bloggy years! Hey loveee the giveaway. :) Enter me in, please. Super Cute - Love Them!! 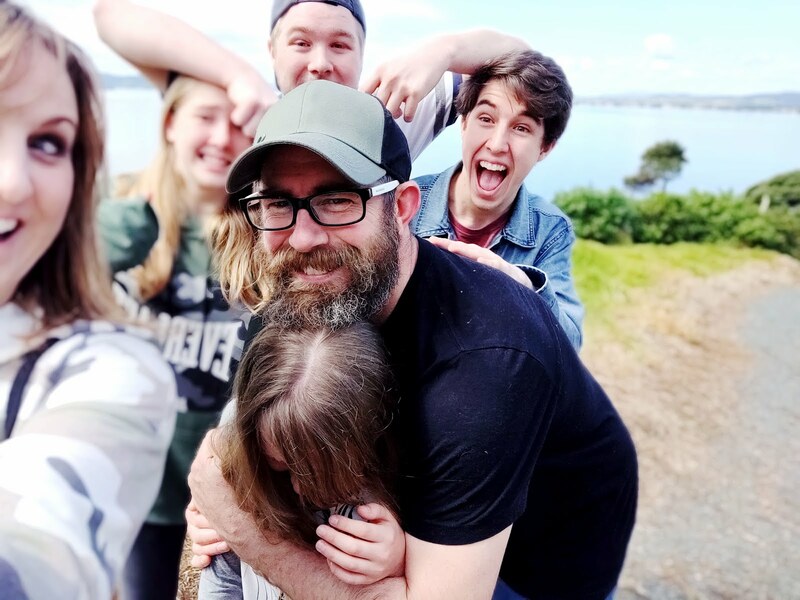 Happy 2nd blog anniversary Kristy! All good wishes for you! Super cute robot softie too! I love the blue/red one! I love red and blue, Superman looks great in it for 60 years? I am loving the blue and red robot. Holy crap - 86 comments!!! DO I stand a chance????? I will blog about it, ok? 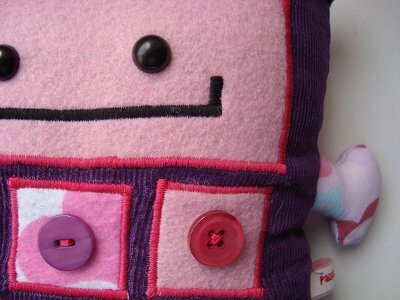 love your blog and softies are awesome!! Happy Blog anniversary! and thanks for the giveaway, Those robots are so cute! I´d choose the pink/purple one. Congratulations and thank you for a wonderful giveaway. Oh gosh, I would choose the purple one for my niece. Your robot will keep her company as she tries to get well. ooppsss, sorry, I misspelled my email address: it is "hazelnuttreasure@gmail.com"
Thanks again for a lovely qiveaway. My daughter says the pink one is "sooooo cute!" Awesome robots!! Your so clever! I'd love to win the blue robot for my two boys! Oh. My. Word. These are SO adorable! I have a girl and a boy so I'm torn. I guess I'll go with the blue one. 2 years blogging - congrats to you!! Congratulations! I just started reading your blog, but I think it's adorable! I really love the blue robot! i like little miss purple! i think i like the blue one best! Both are super cute and I'd love one for my boy and girl, but considering my boy really likes Robots I will go with the blue! Happy anniversary! I would love the purple one, thanks! Wow, those robots are so cute! I particularly like the purple one. I would love to give that to my baby cousin! They're both so so lovely! I'd choose the pink one! Oh my goodness me -- What a lot of posts BUT what a gorgeous robot --- The purple one would love me and I would adore him! I would love to win the purple robot...it is awesome! I love the blue bot! The Purple robot is so cute! I would love to have it! Happy 2nd blogg b-day! I'd love the blue one for my nephew! I love the purple one for my girls! I oh so need something cuddly to hug! their both soo cute, i like the pink one! I want the blue one. Very cute! My little guy would love the Blue robot. Here's hoping we are the lucky ones! Happy Birthday! Isn't blogging just the best?? I'd love to win your robot... it's awesome!! Ugh, I myself have retired from blogging but miss it terribly - happy 2nd bloggingversary ! Hi! I love the red one! Very cute! Oh, I like the pink one in case we have a girl!! 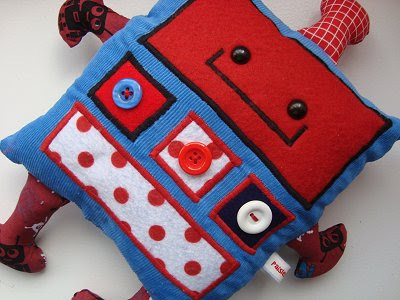 The robots are super cute - I'd love the chance to win the blue one for my little grandson. 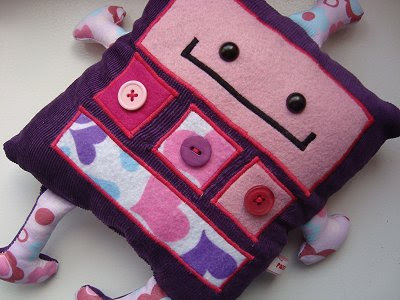 I would love to win the pink robot ... so cute!